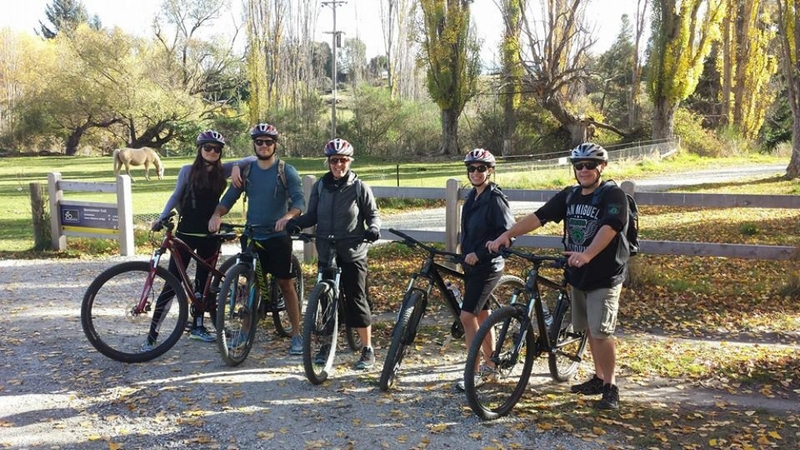 The team at Around The Basin are the local experts for scenic off-road biking in the Queenstown, Arrowtown and Gibbston area. 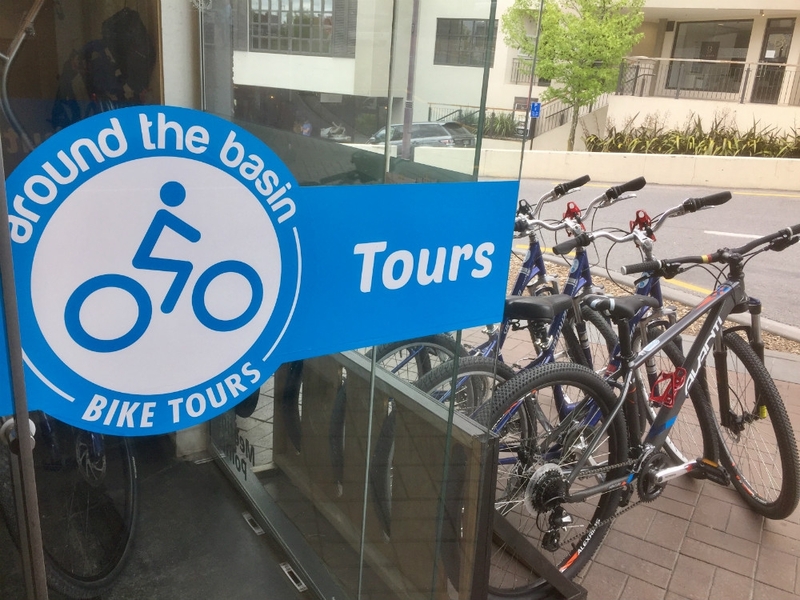 From mountain and electric bike hire, to half day or full day bike tours and winery biking adventures, Around The Basin offers it all. 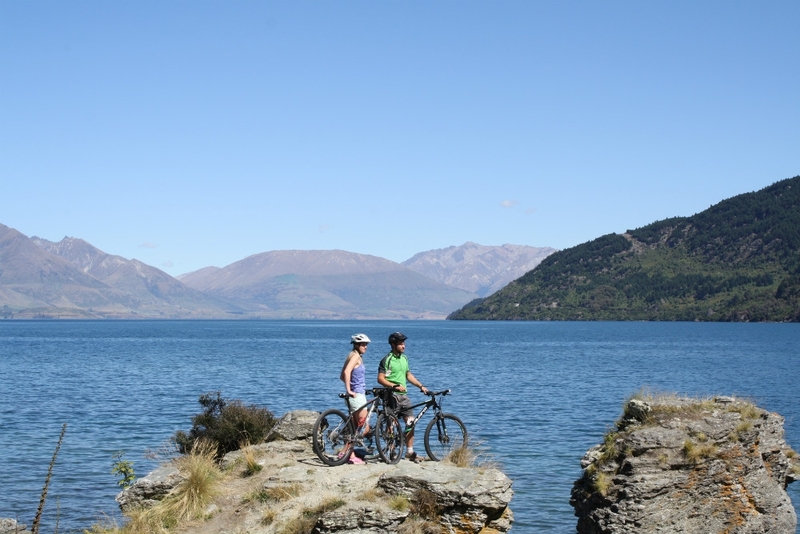 Owned and run by long-term locals, Around The Basin has been operating on the Queenstown Trail since it opened in 2012. 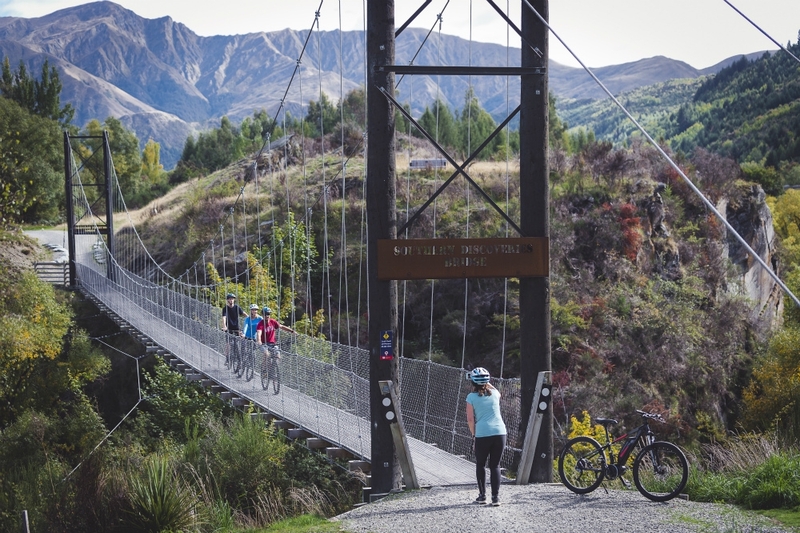 Bike The Bridges Arrow River Trail Supported Tour: A four-hour adventure through the best of Arrowtown's scenery. 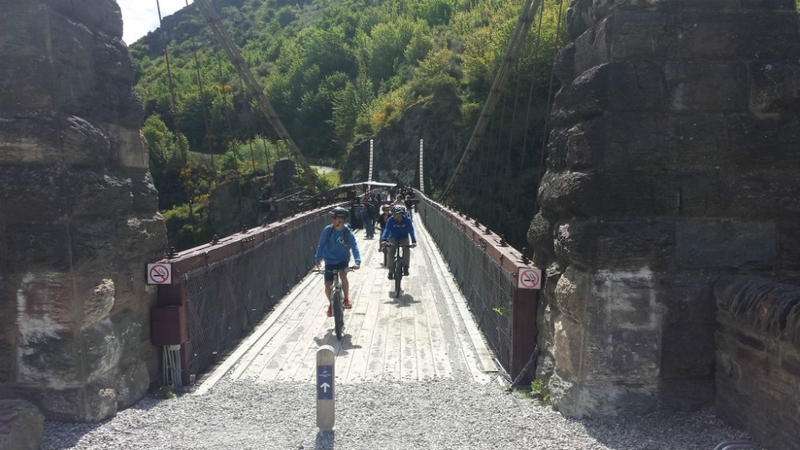 Ride the beautiful Arrow River Bridges Trail, across suspension bridges and past river gorges and follow an old miner's trail to the Karawau Bungy bridge before enjoying a wine tasting in Gibbston Valley and returning to Queenstown. Winter: midday to 4pm. Summer: 9am to 1pm and 1pm to 5pm. 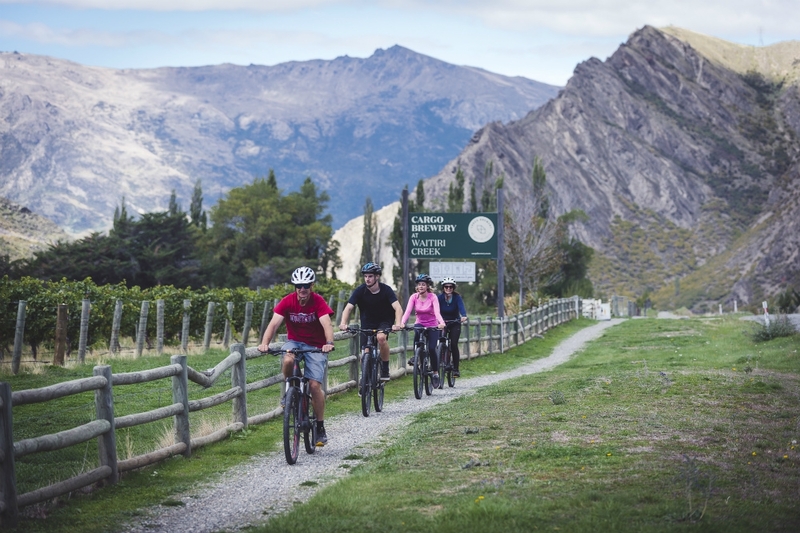 Bike The Wineries: Begin your ride in the hear of Gibbston wine country on our self-guided tour around the local wineries along the Gibbston River Trail. A cheesery, historic tavern and many wineries are available on this trip and you can visit as many as you choose. Winter: Midday to 4pm. Summer: 1pm - 4pm. 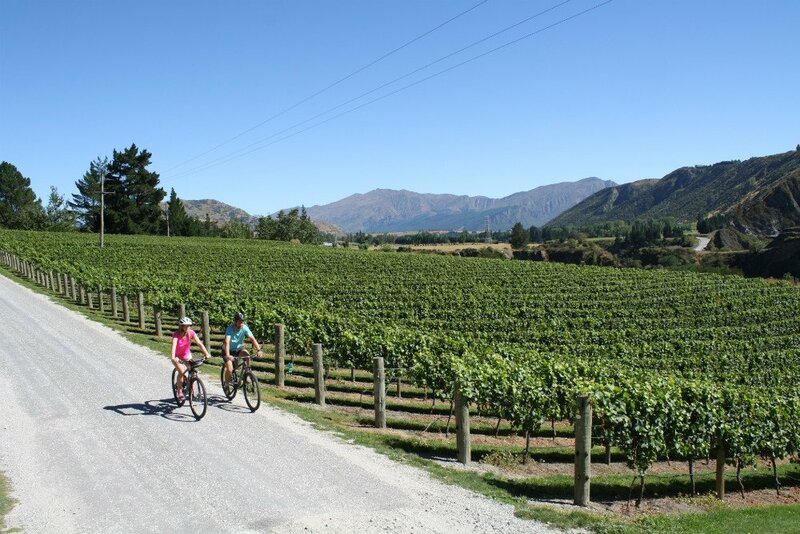 Bike The Wineries: Begin with an informative shuttle transfer from Queenstown to Arrowtown. 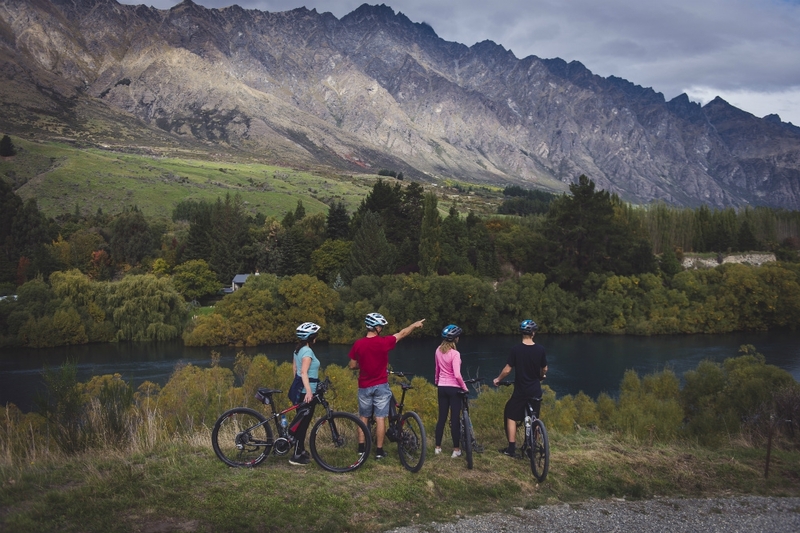 Choose to explore Arrowtown or a cafe stop before your bike along the stunning Arrow River Trail to the Gibbston Valley. 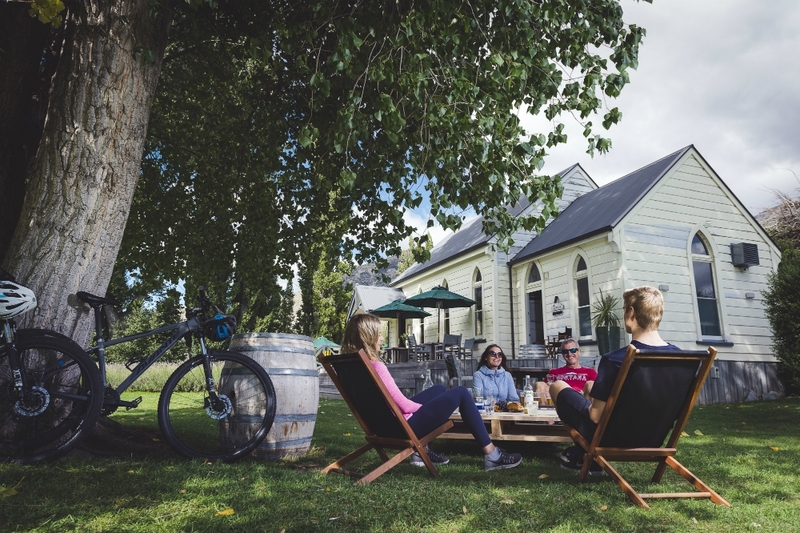 Here you can visit a range of unique wineries, a cheesery and brewery for tastings and lunch before being picked up at the end of your day for your return shuttle to Queenstown. Too easy! We’ll even collect any wine purchases for you. 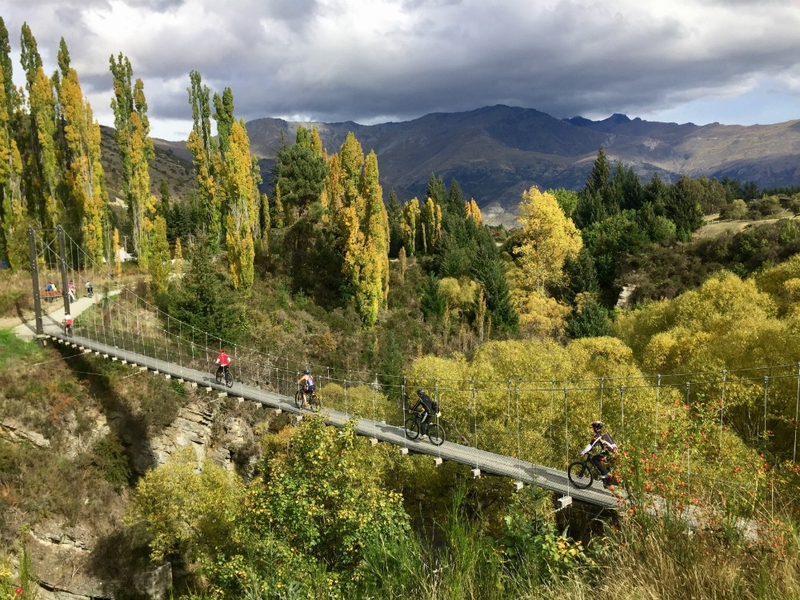 Ultimate Ride - Queenstown Trail Full Day Supported Electric Bike Tour: Starting with a morning drop off to the heart of the Queenstown Trail, your support person will set you off on your electric bike following the stunning Shotover River. After a hot drink break ride the shores of beautiful Lake Hayes. Pause for a picnic lunch and explore quaint Arrowtown. 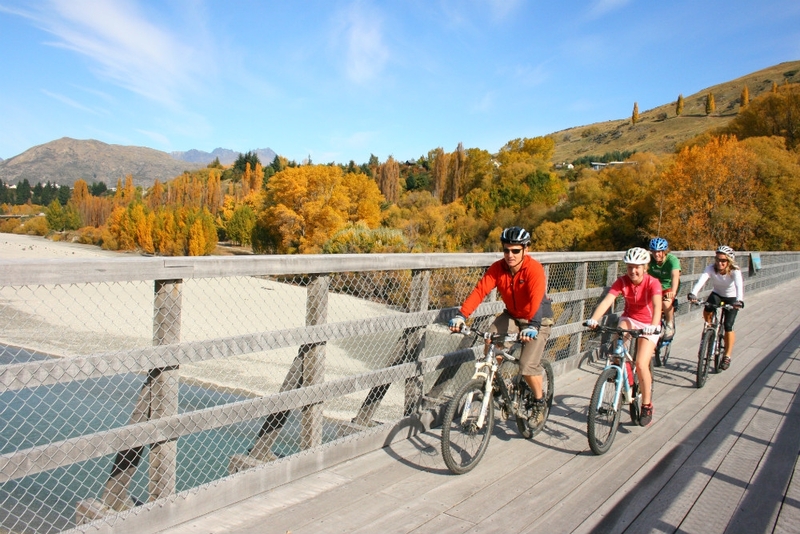 The afternoon sees you biking along the Arrow and Kawarau Rivers to the Historic Kawarau Suspension Bridge – home of Bungy Jumping. Finish with a short ride through the Gibbston Wine Valley. Enjoy a wine tasting before we transport you back to your Queenstown accommodation. This tour can also be done on a standard hardtail mountain bike - see our Basin Explorer Tour option. All tours include transport where appropriate. Directions and maps are given at the start of each trip. You can opt to upgrade and have one of the company's knowledgeable guides accompany you on any of our Supported tours. Electric Bike upgrades are available on all tours if you feel like the ride might be too strenuous for you, or your group has mixed fitness and abilities. To get some extra pedal power, talk to Around The Basin. For the 'do-it-yourself' independent biker, Around The Basin also offer quality mountain bike and electric bike hire at competitive rates. 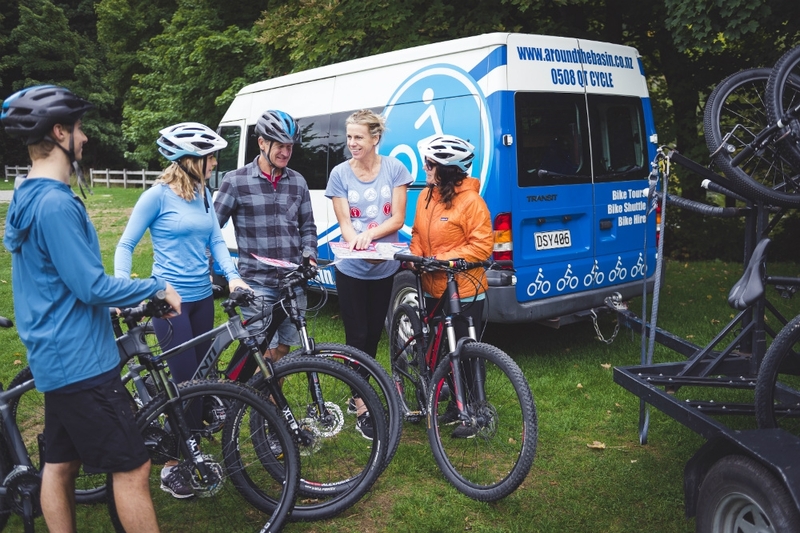 Combine with our shuttle service throughout the Queenstown Trail and receive great trail advice for a hassle-free day. Please visit The Around The Basin website for pricing and bookings.